Our fifth day in Cogne was a pre-planned rest day. The weather forecast was for heavy snow and we didn't want to be standing under an ice climb as the build up of new snow would eventually come pouring down as the inevitable avalanche would release. We slept in on our fifth day, took our time at breakfast and did equipment maintenance. Crampons and tools were brought back to a useable state and optimal performance. I did a extended movement & mobility workout: knees, lower back, hips, and other problem areas needed attention after an extensive amount of skiing in the previous months and the past few days of ice climbing and carrying a heavy pack. On Day six we went into the Lillaz valley looking for a steep line that wasn't threatened by avalanches. I described the conditions in a previous post. 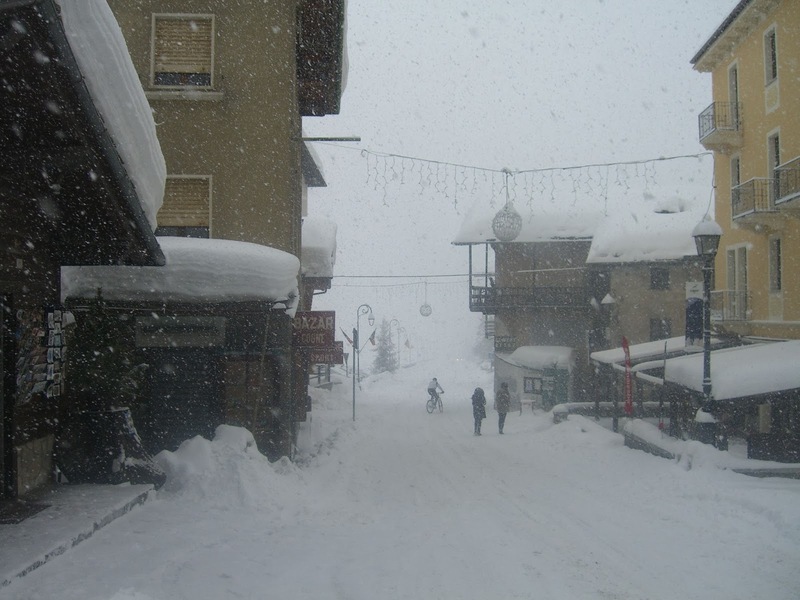 Simply, the snow had settled quite quickly and the avalanche danger was surprising low. After walking around looking for a steep line that was free, we ended up snow hiking for around two hours being frustrated that our first, second and third choices were already full of climbers. 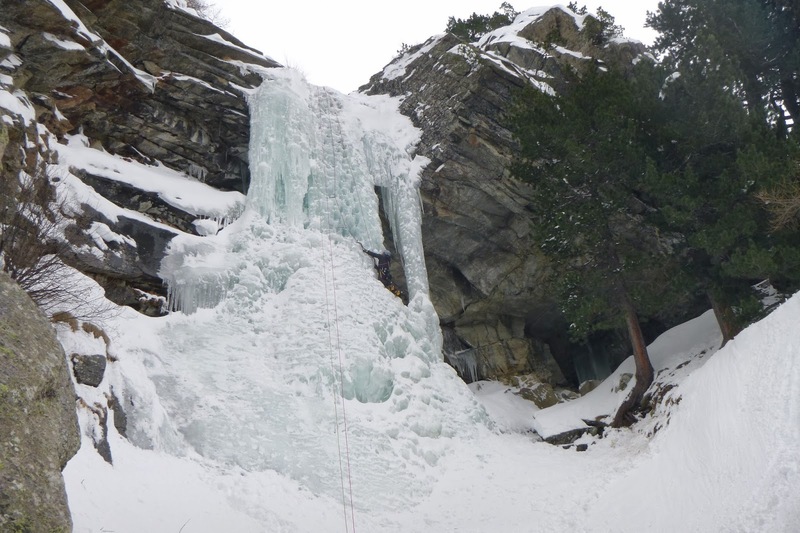 The hanging ice on steeper lines was warm and relatively soft - easy to climb but also dangerous to stand/climb under. We settled on the climb "Tutto Relativo" and climbed the 3-4 pitches without event, just enjoying our last climb for this trip. We ate our "farewell" dinner at the fantastic French bistro in the center of the village. After dinner we got back to the pension and shared what was left of the whiskey and reminisced about the climbing and our trip to a part of Europe that was actually in Winter conditions with plenty of snow and solid ice conditions.